Documentary images telling the unique story of your special day. Based in Buckinghamshire & Berkshire, covering the UK and destination weddings. Check I’m free on your wedding date or just ask me a question. You can always give me a call on the numbers above if you prefer. Being a documentary wedding photographer is all about capturing images of the day that together tell a story of the day and individually of the moment the photo was taken. Unlike traditional wedding photographers who often demand your attention, and can be intrusive, I try to blend in as one of your guests. I like to melt into the background so that I can capture the true emotion and activity of your wedding day. My images have been described as “retro” or “1960s”, partly because, I’m guessing, I produce a lot of black and white images. I use specialist, small, and professional grade cameras so no-one feels like they are having a big lens shoved in their face. I prefer to work without any special lighting, assistants or extra photographers so that I can become one of the guests. I’m am often booked by people that hate having their photo taken. This style of photography means that a lot of the time you won’t know I’m even there and with nothing posed you won’t have to worry about feeling awkward in front of a camera. The documentary approach means you and your guests can enjoy the day without disturbance to the flow of the day. However, if you do really want some ‘traditional’ portraits then I’m happy to do this for you as I bring a full studio lighting rig with me to every wedding. Some couples also want a big group shot of everyone who attended. 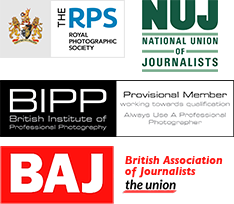 You hear the terms documentary wedding photographer, candid wedding photographer and reportage wedding photographer being used by many wedding photographers but what does it really mean? I’ve written this short blog post to clear things up!